Despite moving toward a paper-free society, we still use paper fairly often in our daily lives. And to be honest, paper isn’t that great. It’s easily ruined by something as simple as a coffee spill and can spread disease by virtue of its tendency to transmit bacteria and other nasty things. But if we could apply new technology to the very old material, perhaps it could be revitalized. 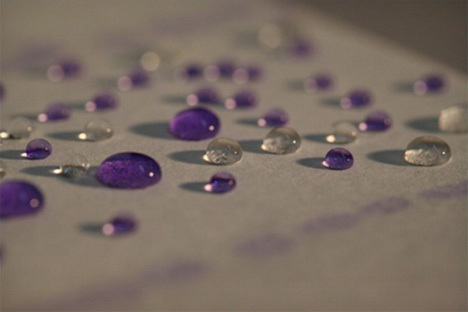 The Instituto Italiano di Tecnologia in Genoa, Italy has created a nanoparticle coating that could be applied to individual paper molecules to make paper antibacterial, waterproof, magnetic and even fluorescent. The process works by creating an itty-bitty “shell” around each fiber of the paper. The new properties of the paper depend on which nanoparticles are used: silver for antibacterial and iron oxide for magnetic, for example. After the polymer is applied to the paper fibers, the paper continues to act like normal paper. You can write and print on it, fold it up, even recycle it just like always. The antibacterial paper could be an incredible advancement for food packaging, and other enhancements could help create more secure currency or protect important documents. See more in New Materials or under Science. May, 2012.